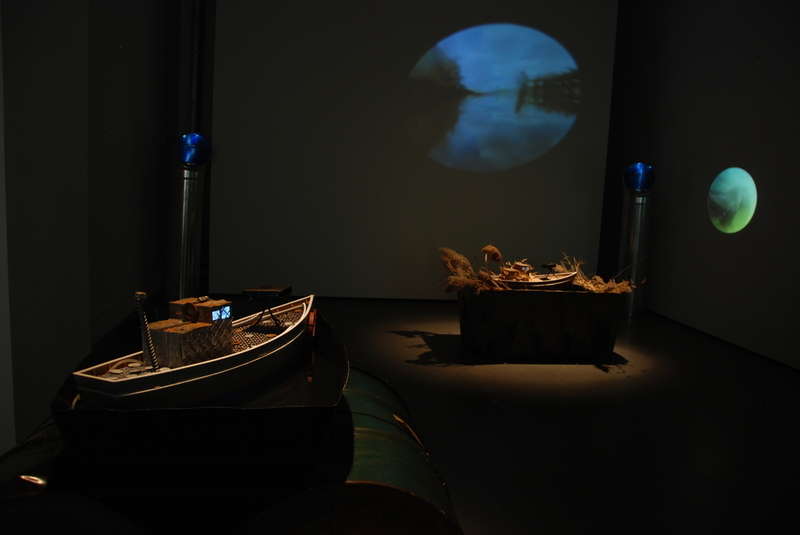 Remote Voyages was a five-channel video installation created by the artists of The Newtown Creek Armada. Miniature boats designed by the artists, each incorporating different materials harvested from the banks of the Newtown Creek, floated in basins of polluted creek water, supported by platforms of debris washed ashore during Hurricane Sandy. 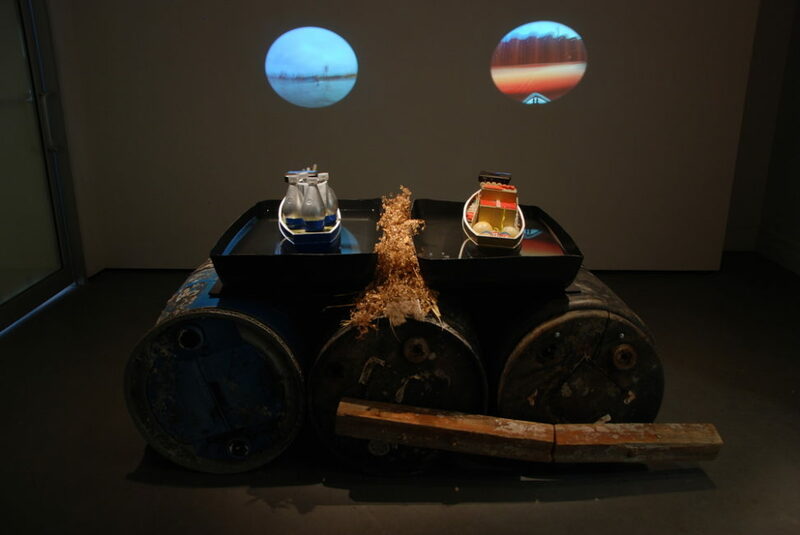 Each boat projected a video created from its own unique voyage along the Newtown Creek Superfund site, one of the most polluted bodies of water in the United States. Remote Voyages was exhibited at the 111 Front Street Galleries, and was made possible with the support of the Hudson River Foundation, the Cultural Affairs Department of Two Trees Management and the North Brooklyn Boat Club. REMOTE VOYAGES is an exploration of the liminal urban landscape, documenting one of the most polluted bodies of water in the United States – the Newtown Creek. A project of The Newtown Creek Armada, this installation presents a window into an often-overlooked New York City waterfront. Since 2011, the boats of The Newtown Creek Armada have investigated the interplay of nature, industry and pollution on this secluded waterway. The Newtown Creek is a Superfund site: a dumping ground for industrial waste and raw sewage for over 150 years and the site of the largest urban oil spill in the nation. The boats piloted through oil slicks, sand storms and decaying infrastructure, and journeyed alone into inaccessible terrain. In REMOTE VOYAGES, the boats present their explorations along the border of Brooklyn and Queens, through the creek and its four main tributaries – Whale Creek, Dutch Kills, Maspeth Creek and English Kills. Each boat has taken on materials found during its voyages, representing different aspects of the creek’s past, present and future. Each boat floats on a platform created from industrial flotsam discovered on the New York waterfront. Each boat has traded its video camera for a projector to share its journeys.